What does it take to go from being the new REALTOR® in town to rock star selling success? 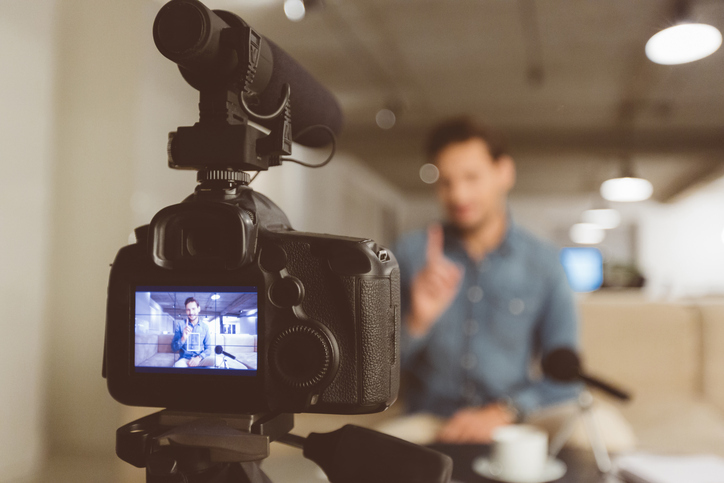 Rocking your social media with video is a great option. It's what Sue "Pinky" Benson did when she moved to Naples, Fla., three years ago. When she entered a market with 4,000 REALTORS®—who knew a lot more about Naples than she did—video seemed like her best option for making an impact. It took her two-and-a-half years to see the results of her decision, but her efforts have paid off handsomely. Benson, a national speaker covering video and social media marketing, has been featured in NAR and other real estate magazines. She was also recognized in Florida Realtor® magazine as a top real estate video rock star to follow. After moving to Naples, she jumped off the social media cliff, figuring she'd either learn to fly on the way down or learn a lot from the experience. She flew, and she learned. That flight began with her success with Facebook live streaming. She passionately believes other agents can have the same success—if they're willing to learn and consistently show up and produce the right kind of video. What stops most agents isn't the technical aspect of the video, she said. It's a lack of confidence. "We're afraid of how we look—we think we have to lose 10 pounds before we get in front of a camera," she said. "We don't like the way that we sound—our voice is too high, too low, too squeaky—or we're worried we might have an accent, or that we won't look professional." Other people already know how we look and sound, and they're okay with it, she explained. It's the agent who has to learn to love themselves on video. REALTORS® tell her "I might make a mistake." She tells them, "We all make mistakes every day. Own it and move on." The biggest excuse she hears from other REALTORS® is, "I'm too busy." "No, you're not," she said. "That's the same reason people don't go to the gym—it's not important enough. When you see value in it, you'll do it," she told webinar attendees. You'd be surprised at what people want to see. What you do every day in your life might not seem like exciting content, but your followers like to know what you're up to. Show the little parts of your life, like what you're fixing for dinner or what life as a mom is like. It's all about engaging with your audience—people get to know you and like you, and, then, when they're ready to buy or sell, they'll message you, "Hey, I want you to sell my house." "Stop posting three-bedroom, two-bath crap," Benson said. "You don't see your dentist posting, 'Hey, I pulled four teeth today, I'm the Mac Daddy!' Embrace who you are, what you do, and post about that. I know a guy, Zack, who's a kite surfer, and that's what he posts about. He attracts an audience that identifies with him." Connecting with your buyers or sellers is much more fun if you have things in common. Benson loves to look up fun facts about a community, and her followers love to learn what she has to share. "Ask the owner about fun facts about their house—maybe what was there before the house," she said. "Then make short videos that showcase that fun fact." For instance, the wire cables on the Sunshine Skyway Bridge, a well-known bridge in Florida, are yellow to represent sunshine rays. People will come back to your Facebook page or Instagram page because they're curious, interested, and like to see what you're doing every day. Showcase your community and local businesses. When buyers get in Benson's car, they'll ask things like, "What's your favorite seafood restaurant?" or "Where's a good dry cleaner?" That tells you what buyers want to know about the community. So, shoot a video about a stain your dry cleaner got out. The dry cleaner will love it and share it and show it off to their customers, who will then learn about you and what you do. Networking is a great way to generate new business. Do you love golf? Shoot videos of you playing golf. Yes, you can pay to have a professional video created. Chances are you'll love it. but it's the day-to-day cell phone videos that capture people's attention—it's that authentic, in-the-moment look they like. Do you follow your car salesman's business page? No. No one does. That's why business pages are graveyards. They don't get you the engagement you want. Post your videos and photos and life on your personal page. If you want more, create a community page where you share community events and information about local businesses. That's what your community wants to see and engage with. The more you post on your personal page and participate in online conversations, the more you're going to bring people back. Keep it short and simple. You can go longer if it's essential, but in general, keep it short. Good Lighting: Don't wait until you start shooting to notice your scene is dark and poorly lit. Audio is critical. People will tolerate lousy lighting or even poorly staged scenes as long as the sound is excellent. So, if you go out to do video in the community, and there's music playing, ask the owner or person to turn it down until your interview with them is over. Invest in a microphone. A good lavalier microphone is under $20 on Amazon. Background: Pay attention to what's happening in the background of your shot. Your viewers will! Make it interesting and engaging. Caption your video with engaging text that tells the viewer what they're looking at. You can go back and change it later if you don't like it. Smile. A good smile will make you feel better, and your audience loves to see happy people. Say hello. Greet your viewers and thank them for watching. Get straight to the point. Grab their eyeballs right from the beginning. Start with the good stuff; don't build up to it. They may not stay around that long. Don't wait for people to join your live video. Start immediately. The power in a video is in the replay. People watching the replay don't want to wait for five minutes for people to show up. Doors are boring. Start your video somewhere exciting. If the pool is the best area, start there. Not sure where the best part of the house is? Ask the seller what their favorite part of the house is and start there. Find out what they love about the house and start with why they love it. You don't need a lot of expensive equipment to get started with video. Start by shooting video with your smartphone. Practice by taking video of your dog or your kids (to get used to hitting that video button!). You always have it with you, and a good smartphone has the resolution you need, making it the perfect video recorder. One thing you should invest in is a tripod. Tripods cost under $30 on Amazon. Don't wait until it arrives to start shooting. Start using the equipment you have now. You can also take some classes at your local community college or online. You need practice more than expertise, though, so just start. The skills will come! For more tips, information and strategies for using video to promote your business, watch the webinar here.